The epic saga of Star Wars continues with The Force Awakens and its mysterious hero, Rey! 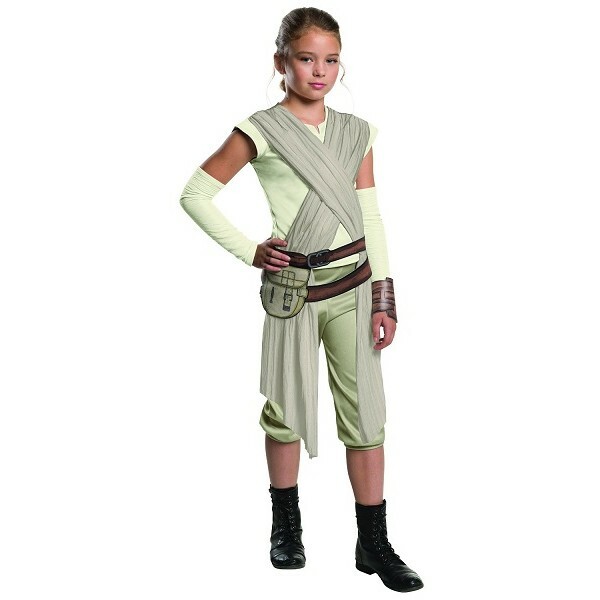 Now fans of this determined survival can look just like her with the deluxe Rey costume, which includes a jumpsuit costume with attached sash, detached sleeves, a cuff, and a belt with pouch. Complete the costume with the Rey hood and mask.